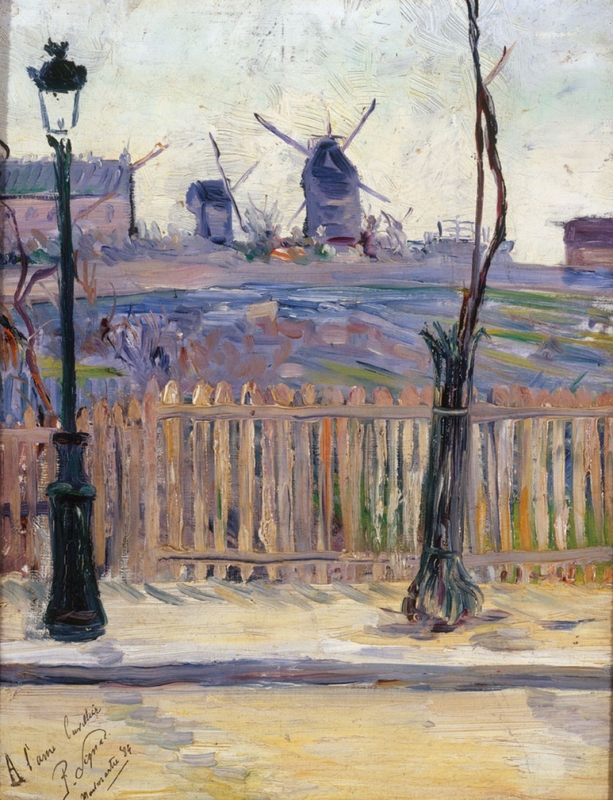 With a second day comes a second exhibition direct from the city of love, light, and above all things, art. Paris, inspiration to so many creatives over the years, is host to a sensational array of art exhibitions this Autumn/Winter season, and I could not wait to rush over on eurostar to get my fill. Our second show, after Hopper, was also the second of two big blockbuster shows being held consecutively in the mammoth greenhouse-come-palace otherwise known as Le Grand Palais. 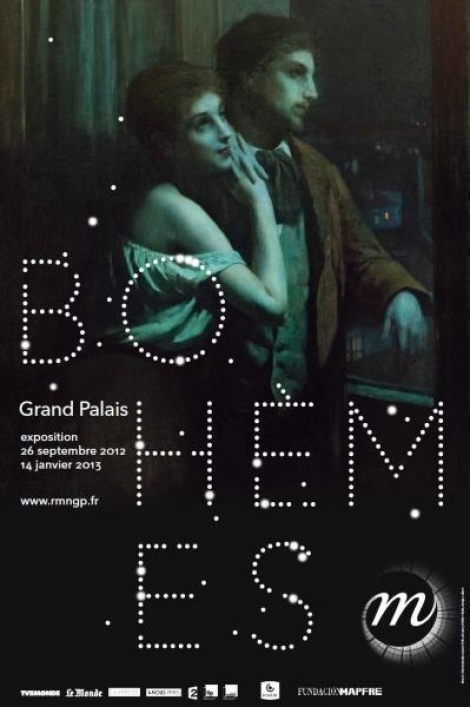 Entitled Bohèmes, this exhibition promised to be an enriching exploration of the bohemian age of Paris, when pearly green absinthe dripped from sugar on a balanced spoon in little grimy bars on the step hillsides of Montmartre, when dandy artists courted flirty prostitutes and cabaret dancers, and when the true spirit of the artistic revolution was born. 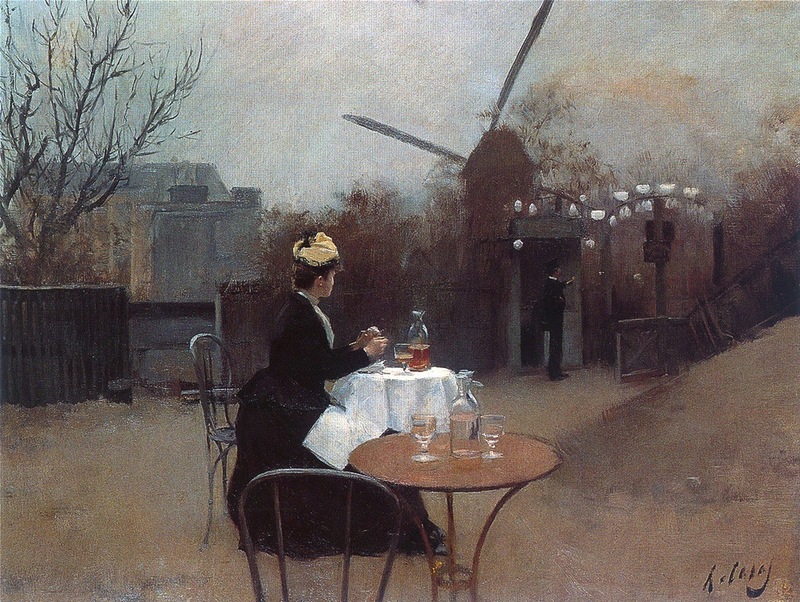 It was the inevitable consequence of the impressionist age, when artists and intellectuals alike broke free from the shackles of Napoleonic Paris, zealously keen to explore the new modernised world, an age with re-written moral values, re-examined sensibilities, and artistically a blank-canvas ripe for the most extravagant exploration. It was the age of the bohemian revolution, the time of Toulouse Lautrec, the Moulin Rouge and the can-can, and surely the most charming age of all Parisian history. 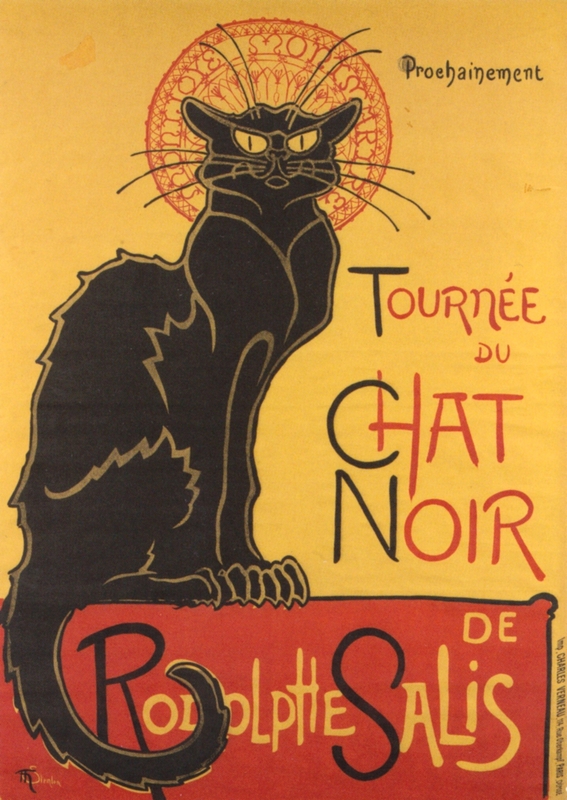 It was with a high degree of excitement then that we entered our second expo in the Grand Palais, ready to indulge in Le Chat Noir, the decadence of dandyism, and the melancholy of alcoholic introspection. And yet what we were faced with was a huge long gallery full of dank old paintings…of gypsies! This was not at all what I had expected, and I must admit to being quite put out by this start to the show. Unenthusiastically, we browsed the nondescript works, before turning the corner, only to find more. Gypsies in Romania, Gypsies in Spanish Seville, all painted in a very classical, traditional fashion, each in turn failing to inspire me (I also thought it was rather ironic that this exhibition was even on show in Paris… after all, wasn’t France the country which was recently so caught up in a scandal with the Romani communities?). However soon enough, the exhibition changed for the positive. Depictions of the gypsy communities became all the lighter, more colourful and lighthearted. 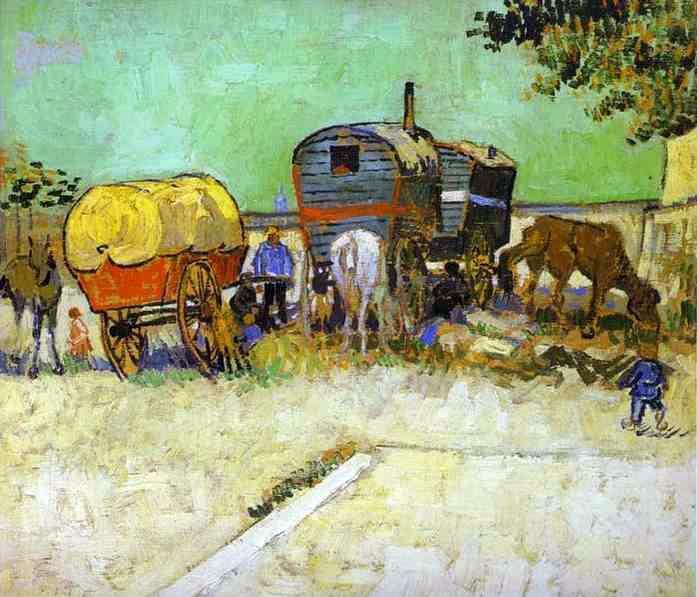 Enter Van Gogh, with his fresh, turquoise skies and bright yellow gypsy caravan near Arles, and Renoir with his iconically idealistic portrayal of a gypsy girl. 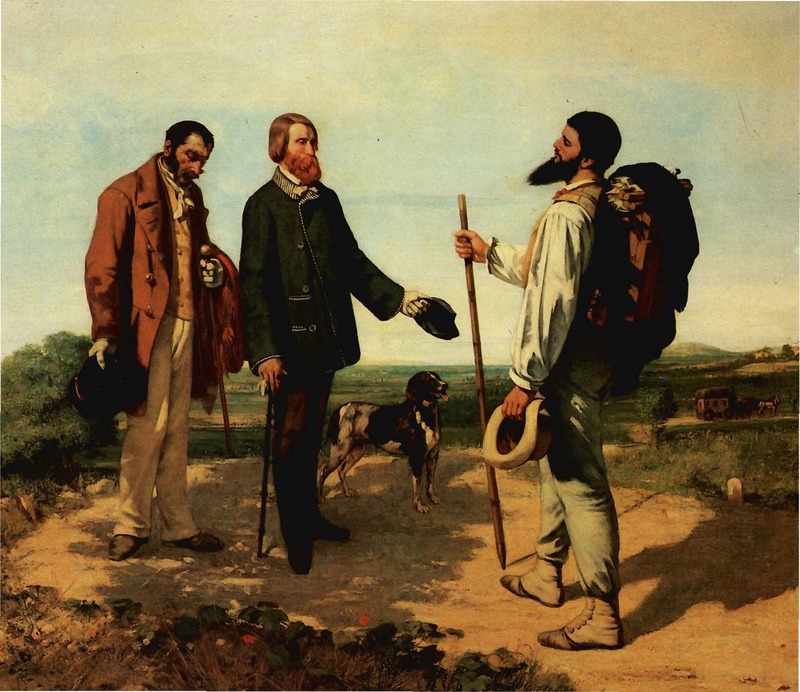 Then there was the great Courbet, the artist much lauded for kickstarting the spirit of the artistic revolution, and his highly original self-portrait, Bonjour Monsieur Courbet. So why all the gypsies? Well apparently, the origin of the word “bohemian” is from the French word bohémien, which is the french word for gypsy, allegedly because the French believed the Romani people to have come either from or certainly through Bohemia (now the Czech Republic). 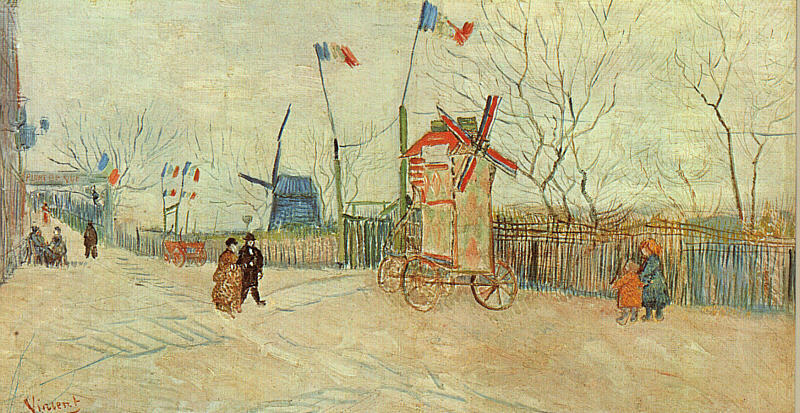 From the gypsy connotations, the word gradually became used to describe people who were “socially unconventional” and so the bohemian concept was born – the art lovers, the dancers, the scandalous inhabitants of Montmartre – all were part of a mass bohemian revolution, where social conventions were cast to the weakening winds of the past, and free spirited minds were unleashed upon the world of art, love and leisure. 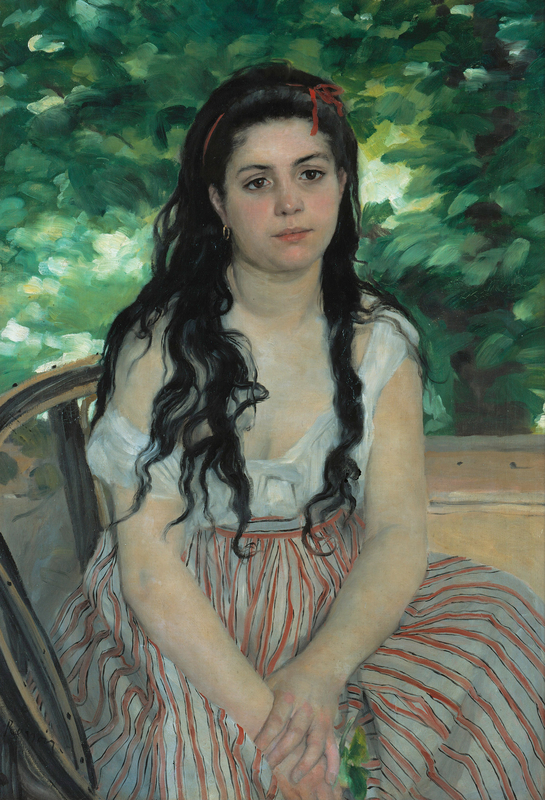 And it was to this time, at the end of the 19th century, when bohemianism truly came into its own, that the exhibition finally wandered, casting behind the historical gypsy poses, and taking us to the heart of the bohemian insurrection of 19th century Paris. From hereon in, I was in art heaven. 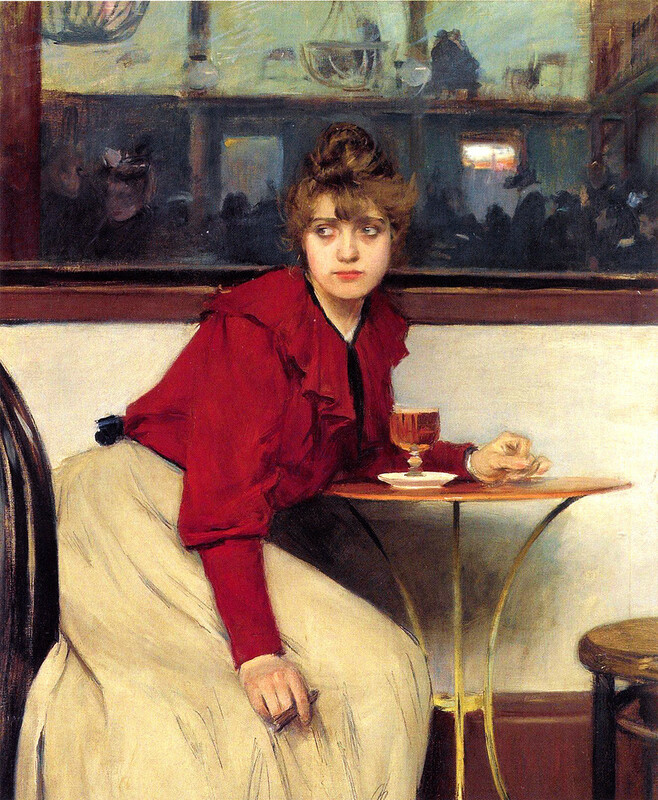 From Courbet’s dashing self-portraits, and depictions of the artist’s arteliers (art studios), to the vibrant artistic community of Montmatre, with its cafés, its dance halls and its Moulins aplenty, these paintings unleashed an age of debauchery, of charm and of vivacious artistic liberty which was almost unique to the Montmartre region and a decisive factor in why I came to adore Paris as a young school boy first wandering into the Place du Tertre. But not only did the exhibition feature the paintings of bohemianism, but also recreated their world. 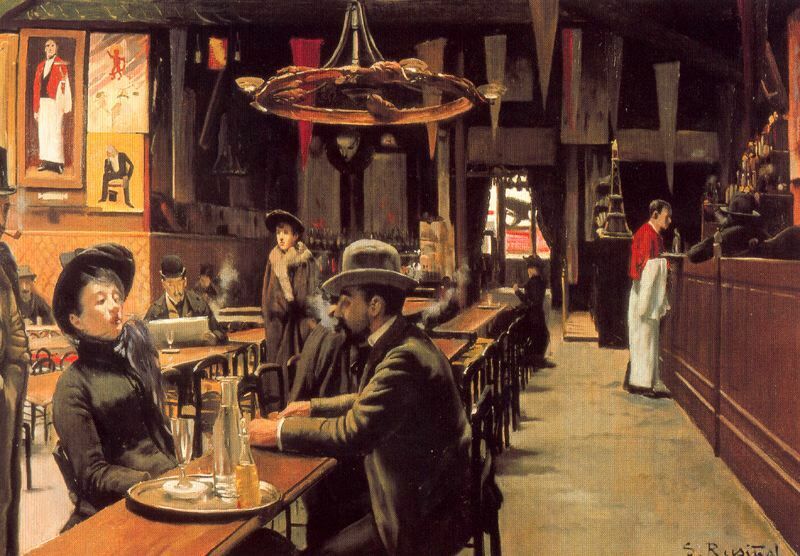 The café scenes were displayed in a mock up café with long benches, peeling walls and posters from the infamous cabaret Le Chat Noir and the artist’s hangout, Le Lapin Agile, while the depictions of the ateliers were hung on the walls of an artist’s studio. 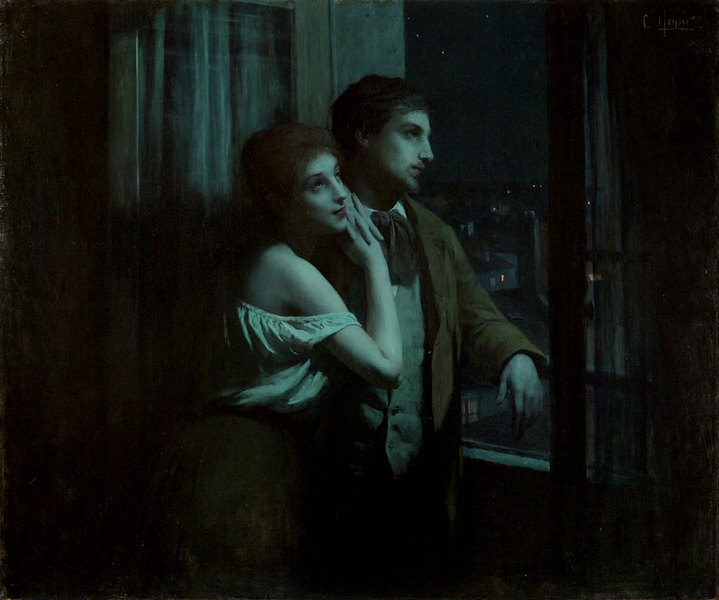 Playing in the background was the music of two operas – Bizet’s Carmen, the opera about Seville’s most famous gypsy protagonist, and of course Puccini’s La Bohéme, a story of the quintessential bohemians in 19th century Paris – the starving writer and his equally hungry artist friend, scraping together a living while falling in love with prostitutes and suffering the full potency of love, romance and the horrors of a poverty-ridden death. The atmosphere conjured by the paintings of that time are like a snapshot onto an almost impossible age of charm. Of course it’s easy to romanticise poverty and decadence, in times which were hard, often miserable, and tragic, and yet there is something about that age which fills me with incredible inspiration, as though the artistic spirit which was kindled in that time has never burnt out, pervading through the centuries and igniting the artistic spirits of a millennia of new creative generations. I only wish that you too could be inspired by the paintings on show… however these photos will have to be enough. Having just checked the website, I see that this great show finished at the weekend, drawing this fascinating study of bohemia to a close, but reopening a chapter of artistic revolution whose impact will live forever. 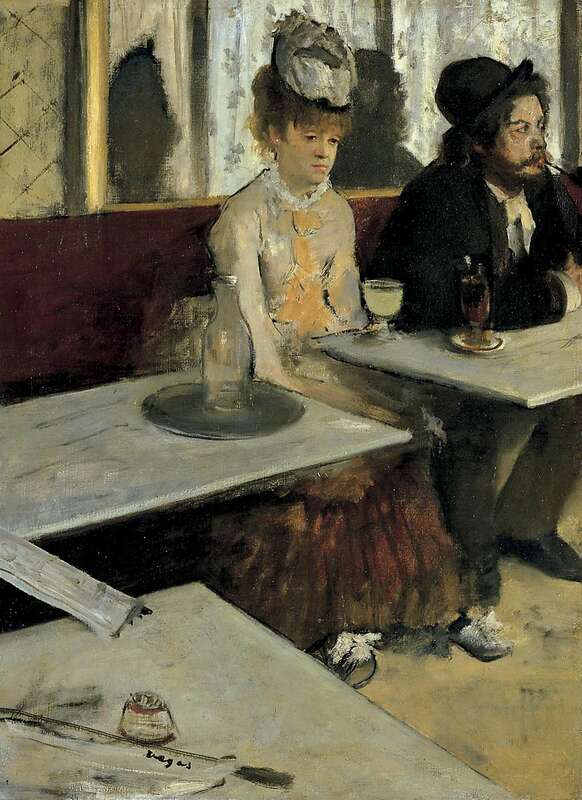 I leave you, for completeness, with the Norms’ very own version of Degas’ L’Absinthe (above)… it wasn’t featured in Bohémes, but clearly should have been. Obviously inspired were you there by the bohemian revolution, fascinating indeed! I’ll check back here to see your response. The posts would go up Thursday and Friday of next week. Interesting post. I learned a lot that I did not know! All your posts are always informative and very interesting. 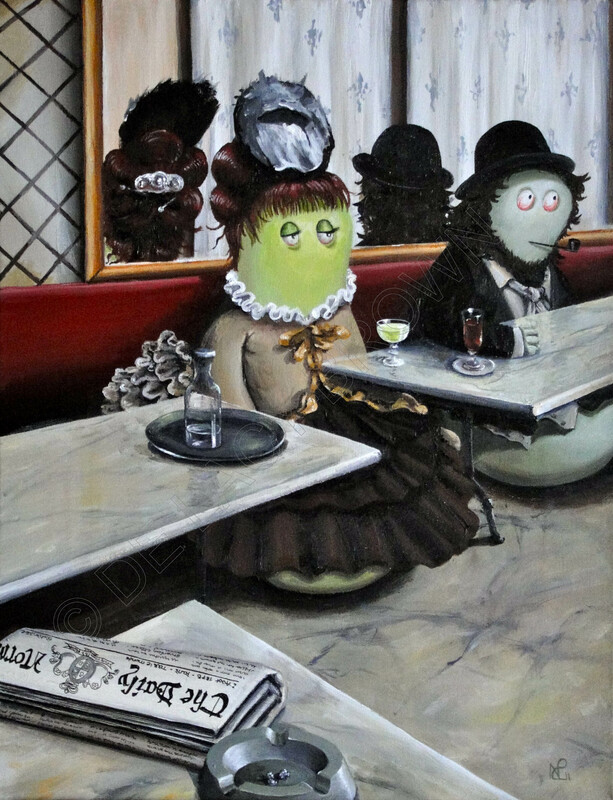 Love the L’Absinthe Norm ! !